Facebook has launched a new HTML5-based platform, dubbed Facebook Instant Games, that eliminates the need to download the Gameroom app for that quick game-play experience, as it now embed games right inside the News Feed and Messenger. It's rather a re-organizing of its erstwhile online gaming experience, whereby users are required to dig them out from the left-hand sidebar which have hitherto been a constraint for smartphone and tablet users. The Facebook Instant Games platform debut with initial seventeen games — including the iconic Pac-Man, Space Invaders and the more modern games like EverWing and Frenzy — which can now be launched directly from the News Feed and Messenger. Also, in-app games can now be launched within both the Facebook mobile apps as well as Messenger, without the need for separate apps. 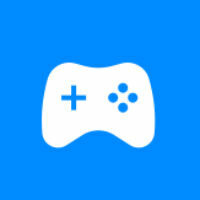 While for the Messenger, there's a new game controller icon just below the box where users type message, and an “Instant Play” button will allow you to launch the game. Meanwhile, the new Instant Games isn't replacing Facebook Gameroom app, rather it's complementing the app, even as the name suggests, the new platform is about quick access and play experience. It's currently available in 30 countries, according to Facebook, and requires a smartphone with either iOS 8 or higher, and Android 5.0 (“Lollipop”) or higher.